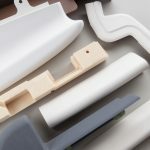 For more than half a century, General Plastics has worked closely with aircraft OEMs to satisfy continually evolving, highly demanding requirements for aerospace interiors. We provide everything from rigid and flexible urethane foam to custom formulation and build-to-print parts developed for the aerospace industry. Our urethane foam products and expertise deliver tangible value in terms of cost savings, light weight, design flexibility and streamlined production. Our gap-management and impact energy absorption foam series are used extensively in aircraft flight deck and cabin applications due to their durability, and flame-retardant and self-skinning characteristics. These applications are instrumental in fulfilling structural, aesthetic, safety, budgetary and scheduling requirements. The WSF-1121, adurable and stiffer foam series, lends itself well to flight deck padded parts applications that include post pads, kick strips, assist handles, HUD covers and more. Most of these durable, yet lightweight parts require a backing structure for installation – a laminate composite, a sandwich panel or sheet metal – and are fastened in place. Depending on the customer’s design, we make these flight deck parts one of two ways: molded in place by inserting the hardware in the tool and molding around it, or by creating a backing structure separate from the foam piece, then bonding the two together. An advantage of our foam system is that it has an integral skin. This means that when the part comes out of the tool, it doesn’t need to be wrapped or covered with another material for protection. The part comes out of the tool with the desired texture and color– we just apply a topcoat to give it the final finish. “What’s more, our foam system accommodates just about any type of configuration, shape or geometry. This gives designers great artistic freedom to design whatever configurations, textures and colors they like,” said senior sales engineer Todd Roppo. Kick strips – These parts are for high-wear areas and utilize a very druable foam system. They extend around the flight deck console as well as pilots’ footrests. One such configuration is a glare shield, which is a pad positioned close to the radio control in the cockpit in front of the pilot. Our glare shields offer an added benefit thanks to the synergy between our rigid and self-skimming foams. For these parts, we machine some of our low-density rigid material to shape and our impact-absorption flexible foam is molded in place to create the final product. Apart from glare protection for pilots, the use of General Plastics’ foam acts as a de-lethalization pad for head strike. If there’s turbulence that causes a pilot to fall forward and hit their head on the glare shield pad, the foam inside will actually crush and absorb the energy, similar to a bicycle helmet. The foam also provides impact mitigation in other areas in place of hard plastic or metal. General Plastics’ WSF-1010 foams are softer and more pliable for managing gaps throughout the airplane cabin. Once the plane is assembled, the gaps created by tolerance stack-ups become evident. We produce a closeout seal from the customer’s design to fit that specific application. Unlike many other products on the market, this pliable foam is also available in any texture or color, and accommodates virtually any geometry based on customer needs. While its primary function is decorative, this series also satisfies FAA and FDA requirements to eliminate gaps or “mouse holes” where passengers could tuck or store anything that could affect the sanitation or safety of the airplane. Our gap-management foam is often installed in areas such as galleys and lavatories, in-between bins, trash traps, between ceilings and monuments, and between ceilings and sidewalls. In first-class areas, our tougher flight-deck material is used to seal gaps between, in front of and around seats, closing up the pods and dividers that separate passengers as well as between pods and walls, depending on where the seat is located. 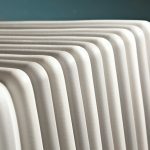 Our flexible foam-based parts provide multiple advantages over hard, extruded plastic parts, which don’t have the solid, warmer feel of the surrounding environment. Extruded plastic parts are also much more limiting in terms of the colors that can be used and the configuration of parts. Even if you achieve the design you want, the tooling would be extremely expensive compared to the tooling opportunities our foam material creates for customers. These molded parts can be designed with very complex contours, provide a seamless look. Something extruded and sheets goods can not accomplish. From formulation to flammability testing, customers know they can rely on us to deliver aircraft interior products that satisfy their exact specifications and stringent government regulations. They also value our expertise and responsive service at every stage. We work closely with design engineers during the development phase to ensure that their product designs can be produced – as quickly and cost-effectively as possible. In our build-to-print capacity, General Plastics turns our customers’ engineered designs into reality. We engineer the foam systems, combining our formulations with our tooling to produce the final product so that when our customers get their parts, all they have to do is install them. At General Plastics, value is much more than just price – it’s also quality, on-time delivery, and exceptional customer service.